Currently, ViWaS is entering its final phase. At the end of November the project will be concluded. 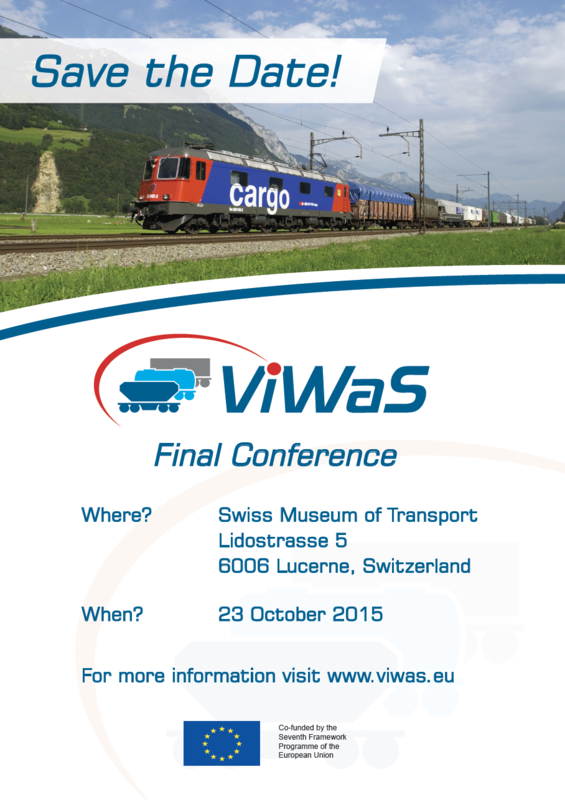 In order to promote the project end as well as the ViWaS outcomes, the final event will take place on October 23rd at Swiss Museum of Transport in Lucerne, Switzerland. Project results and measures to strengthen the (Single) Wagonload Transport in Europe will be presented to the attendees, including innovations from the areas of telematics, production schemes, and technology. Project innovations such as the Flex Freight Car and the aJour telematics system will be displayed on site. Further details on the programme will be provided soon. The latest news about the conference and registrations will be published on this site as they are available. You can download the official final event flyer here.